Glen Aylward owns "Aylward Fibreglass" and he’s onto a good thing. It’s called VIP, which stands for ‘vacuum infusion process’ and it’s revolutionizing the way boats are being built or refitted. This is good news for fishermen because the VIP process is lighter and stronger than the usual method used in boatbuilding. Some customers are saving $100 a day in fuel. This makes Aylward a happy man. 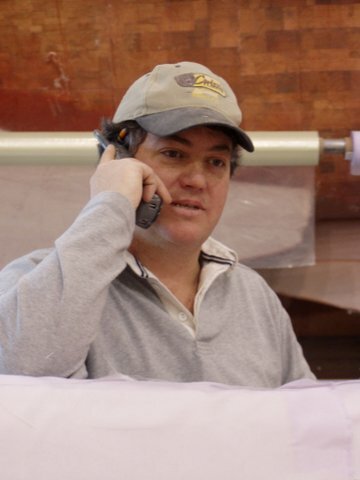 Aylward’s been around the boat building business for the past 23 years and crafts everything from 17 ft. sailboats up to 65x28 ft. Grizzly hulls. With the help of CBDC he’s recently arranged financing to build a 60x70 ft. shop in Shelburne’s industrial park, adjacent to the smaller boat shop he already has there. "It was very easy to work with CBDC. They were eager and willing to help, and everything went so smooth and quickly!" If all goes well, the industrious 43 year old will be moving from his rental space at the film production unit at Sandy Point back into his own digs this summer. This, too, makes Aylward a happy man.